Minister Catheryn Young received the Lord Jesus Christ as her personal Savior in 1977. She was baptized and filled with the Holy Spirit in 1980. She currently serves as one of the Associate Ministers at the United Missionary Baptist Church (UMBC), Dayton, OH under the leadership of Rev. Dr. Leroy Cothran, Pastor. 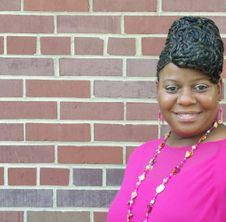 Minister Young as we lovingly call her is a dynamic preacher and Sunday school teacher. She also directs our Women's Ministry programming where she empowers ladies of all ages to be the best they can be in the Lord! Minister Young can be reached at (cyou412@gmail.com). I received Jesus Christ as my Lord and Savior when I was 11 years old. I have been a member of United Missionary Baptist Church for many years. During the years I have operated in many capacities. I am the youth director, Superintendent of Sunday School and a member of the pastoral staff. I have been teaching the word of God for many years. In 2009 I became a licensed preacher under the direction of Dr. Leroy Cothran. I have been God’s prophet for more than 12 years. To God be the glory! I am a board member of Child Evangelism Fellowship (CEF) of the Miami Valley. I am a member of PACT (Police And Clergy Together). I am a graduate of the Neighborhood Leadership Institute. 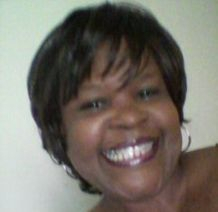 I have a Bachelor of Science degree in Organizational Management, and I attended Grace Ministries Bible College.